Dr Lim has a whole realm clinical experience, accumulated over more than 18 years of clinical practice. His special interest is in the diseases and allergies of the nose and sinuses. However, he is also well versed in the management of other ENT problems such as ear infections, hearing loss, voice disorders, snoring & sleep disorders, salivary gland & thyroid swellings. 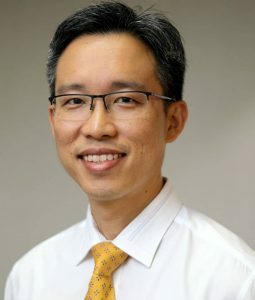 With an avid interest in inverted papilloma, nasal polyposis, chronic rhinosinusitis, and allergic rhinitis, Dr Lim has published in local and international journals, and has collaborated with several international centres like Beijing Tongren Hospital, to improve the management of chronic rhinosinusitis. He received a Singapore Clinician Investigator Award for his work on allergic rhinitis in 2011’s Singapore Health and Biomedical Congress.